Please welcome guest blogger, Joanne Kaminski from becomeanonlinetutor.com. 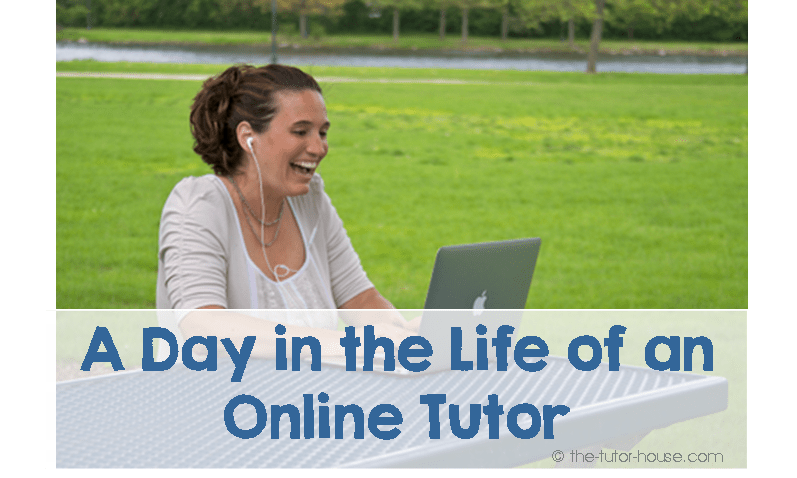 Today, she gives a peak into what her day looks like as an online tutor of 20 students. Feel free to leave any questions you may have for Joanne in the comments below. Thanks Joanne! 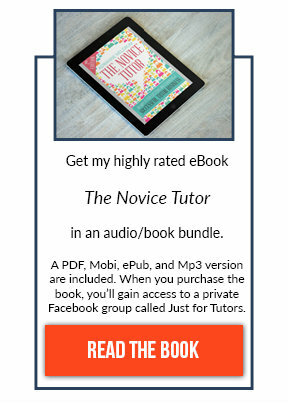 As a tutor these days, traveling to kids houses to help them with math and reading, it is natural to start thinking about what tutoring online would be like. What is really involved and should it be something to take into consideration for your business? So I thought I would give you a peek into what my days look like and let you make the decision for yourself. I had decided to tutor online and leave the school system because I was missing my own kids. So each day, I get to begin my day by just being mom. My kids come to me with the breakfast needs, hair needs, and homework needs all at the same time. Then I have two kids that I watch before school that arrive, and the phone is usually ringing because everyone knows they will never get a hold of me in the evening. After that little bit of craziness, which believe me I enjoy every second of, I pack the kids into the car and drive them to school. After drop off is complete I head to jazzercise because it is a great opportunity to take care of my health and network. About 50% of my clients actually come from referrals and people that I know, so even though I tutor online, it is still important to get out there and let people know what I do. Every brand no matter what their business is needs to spread awareness about their company if they are to be successful. I love the opportunity to get to chit-chat with other moms after class because that is who ends up going to my specific class. The school I drop my kids off at is right next to the church where Jazzercise is at. So there are moms from my kids classes and tons of wonderful people to get to know. Here is one thing that I have learned about the business that we are in. People want to hire other people that they know, like and trust. They also want to refer people that they know, like, and trust. So, I certainly don’t go to class and just talk about my services. I get to know them first and let them ask the questions that will lead into me talking about it. Next I drive home. I have a student that lives in California, which is 2 hours ahead of me in Wisconsin, that I work with after jazzercise. He is a 2nd grader now, and he works with me because he has not qualified for extra services at school. When I connect with him, he is usually eating his breakfast and getting his day started. We chat about what he is having for breakfast while I get his power point of words that we are currently working on up on the screen. Then we begin our session. After our session is complete, I begin writing for the day. I am an author as well, and I love to write. I use my writing skills to spread awareness about my business on two different blogs. One is www.skypingreadingtutor.com, which is meant to help parents who have kids struggling with reading. The other is www.becomeanonlinetutor.com, which is meant to help other people interested in becoming an online tutor. Once I have completed my blogs I post them in different places on Facebook, Twitter, Google +, and LinkedIn. As I do this, I look for other blogs and engage with other people about what they are blogging about. I have fallen in love with the blogging community and love posting responses to the things that other people have written about. I like to engage with people, so whenever I put a link to my blog someplace I make sure to respond to others more than I promote myself. Some people may think that this is a waste of time, but I have found that if I don’t engage with what other people have to say, then surely no one is going to want to engage with what I have to say. By noon you can imagine how tired I usually am. So, I eat lunch and take a nap. Yup, you heard me right, I take a nap and I am not ashamed of it. I used to feel guilty, but I am way past those days. I love nap time. I get to wake up refreshed two times a day, and I feel that I am much more productive. When I wake up I clean my house and get prepared for the tutoring that I am going to begin with my east coast clients. My first student is from Georgia, and she is also a second grader. She is super duper cute and has a purple room with flowers all over it. Her mom gets her all set up on the iPad and we begin our instruction. After I am finished with her I head on over to a student in Canada that is a 7th grader. He has been diagnosed with dyslexia and in Canada, according to dad, they don’t have a strong program for kids like his son that are struggling with reading. From Canada I get to come back a little closer to home with a little girl from my church. I usually use Skype, but she is my test student for checking out Google hangouts. So I switch programs and go to the Google Hangout, which I can access from my video button from my gmail account. I click on it, add her into the call and we are all set to begin our session. She has green walls and girly froufrou stuff all over it. She has been diagnosed with a learning disability in reading and is now in 3rd grade. This is the first time that she is receiving help for her reading because she was dismissed from the program that gave her extra help when she qualified for Special Ed services for her ADHD. Then I go on to work with another local student that was a referral from a friend who was excited about my services that I provide for her son. This student has not been diagnosed with a learning disability yet, but the school is in progress for getting that officially done. His reading teacher at school is actually a friend of mine in jazzercise, so we are able to confidentially talk about how to provide services for him that will take him to the next level in reading. Once I am done working with him, it is time to get dinner ready for my family, catch up on their day before I go back to work with some more students. Then it is back to work, and I work with a wonderful little lady in Montana. She is just getting out of school when I get to work with her, and sometimes she has a snack while we do our session. After her it is off to Texas with a young lady that has been with me for 2 years. She has not qualified for any services, but her fluency is slower than the other kids. She lives with her grandma and her grandma wants to make sure her granddaughter is getting the best instruction that she possibly can. Then for my last student of the night who lives about 45 minutes away from me. He is another student who has not qualified for services, and mom wants to make sure that he is getting set up with a strong foundation in reading, because she values his educational success. Then it's time read to my own kids! Of course I can’t forget about reading with my own children. This is the highlight of my night. Before my 6 year old goes to bed she picks up a book, and I cuddle with her. I read her whatever story she picks out. Then I switch off with reading with my 9 year old and my 10 year old every other night. We switch off on reading roles. I read a page, and then they read a page. Right now with my 10 year old we are reading Wonder by R.J. Pallacio. And right now with my 9 year old we are reading The Mermaid Tales by Debbie Dadey. Once I am done reading with my kids it is time to relax. Sometimes I answer e-mails, watch the Voice, or crochet. My life is busy, but I am loving every second of it. I wouldn’t trade it for the world. I love that I get to be a mom present in her own children’s lives and that I get to affect the lives of other children all over the world. 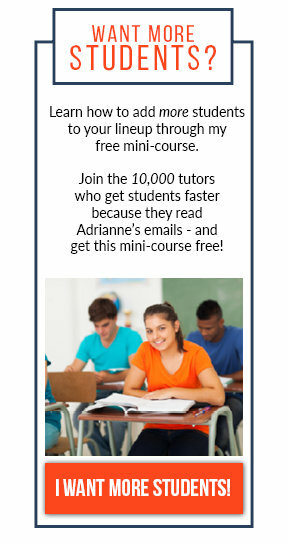 Is tutoring online something that you would ever want to do? If so, then check out my blog www.becomeanonlinetutor.com for some free tips and tricks that can help you get started. Joanne Kaminski is a Wisconsonite that has been an online tutor since 2010. Before that she spent her career as a classroom teacher and a Reading Specialist. Once in a while she would work with students in their homes, so she has had some experience with tutoring one on one in person and tutoring online. She spends most of her tutoring time today teaching kids online, but some of her students that live close to her still come to her home. She currently has 20 students all over the world including Australia, Canada, and all over the United States. Joanne is also an author and speaker and travels the country spreading awareness about literacy and motivating kids to read. Joanne has written the following books. Great post Joanne! I plan to expand my tutoring business to offer online tutoring and your post really helped. Joanne, this has fueled my curiosity. I have been an K-5 educator for 30 years, currently working during the day as a para-educator in the Resource Room and running an after-school tutoring business. It is hard for me to wrap my heart around how to connect with kids via the internet, but see great potential, as well. I want to explore this option. I will surely take note of these. This is not only things to note for tutors, it is as well good to be noted by tutees. These are really great points on services like long island private tutoring.